2. 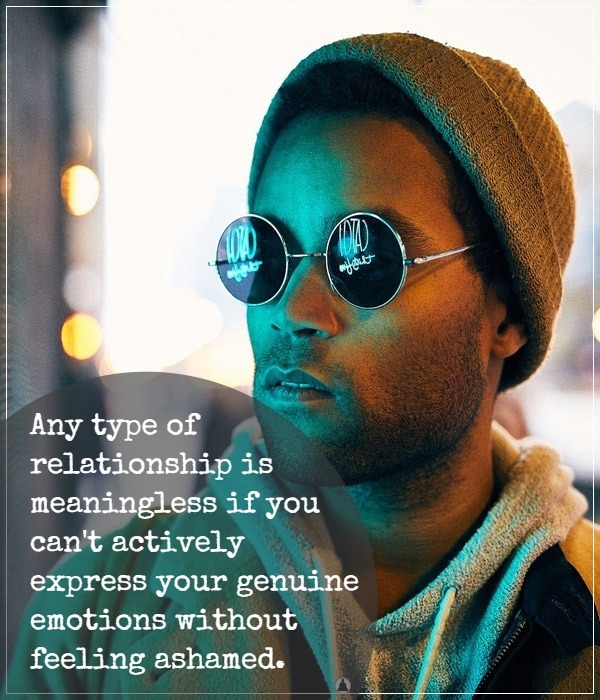 The empath starts to feel like they have finally met the love of their life.The narcissist asserts them by designing an illusion which leads the empath to think that they have a special bond that is impossible to break. At times, it may look like the narcissist wants the relationship as much as the empath, but this is not true. The narcissist only wants to be in control. 6. The relationship starts to be all about the narcissist. Eventually, the empath will realize this, because as the time passes, they will start to feelafraid to state or fight for their desires and needs in the relationship. The empath will rather die than give someone a reason to dislike them, so they will still try to please the narcissist even though they are not happy in the relationship. 8. The empath will eventually raise their voice because they can no longer stand the devaluing ways of the narcissist. The empath starts to feeldevastated because their emotional needs are not being met. When the empath realizes that they have been living in a delusion all the time, they will start to speak up their truth. The narcissist is not happy with this new turn of events. 10. When the empath finally decides to honestly talk about their feelings with the narcissist, the narcissist is quick to call them “crazy”, “delusional”, or“over-dramatic.” They would dismiss any of the empath’s efforts to save the relationship and they will try to manipulate them again to regain the control. 11. For an empath, this behavior is impossible to understand. They would start blaming themselves for everything that is wrong in the relationship because the narcissist has them feeling like they are not good enoughand they are not worthy of love. 14. The empath should know that it is completely okay and normal to feelconfused, lost, defenseless, and deeply hurt. They need to do a lot of self-reflection and work on themselves to start feeling okay again. 16. The empath will eventually realize the bitter truth that the narcissistdoes not deserve their affection, love, and care. They must understand that not everyone who puts a sad face on is showing their true colors. There are many people out there who have vile motives and use many manipulative techniques to get what they want. The empath must face the brutal truth that not everyone who says ‘I love you’ really means it.